This comprehensive e-commerce in-app experience on social media, including post-purchase alerts could be a game changer for brands. 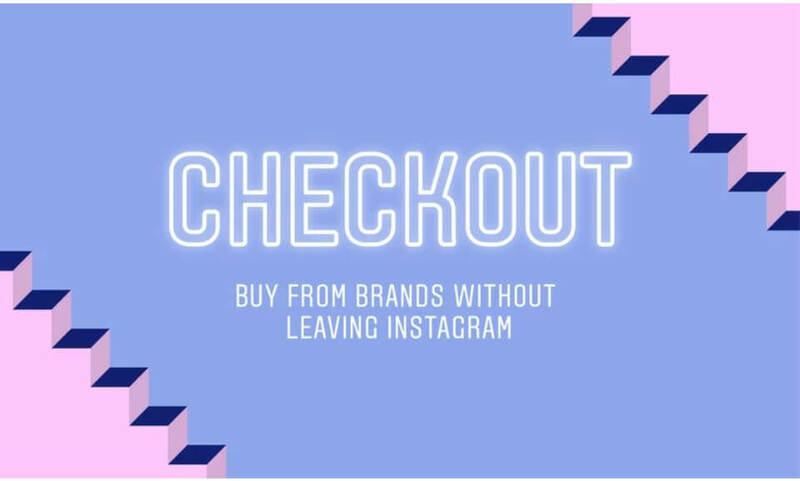 On March 19, Instagram introduced Checkout on Instagram, allowing users to purchase products without leaving the app. When a user taps on a product from a brand’s shoppable post, a “Checkout on Instagram” button appears on the product page. Tapping the button lets a shopper select from various options and ultimately proceed to payment – without leaving the Instagram app. The user enters her information (name, email, billing and shipping) and Instagram securely saves it for future purchases. Shipping and delivery notifications will also be sent within Instagram – the user can be inspired, browse, buy and track their order without ever leaving the app. Checkout on Instagram is currently in closed beta and only available in the U.S. The test includes a number of high-profile brands Adidas, Burberry, ColourPop Cosmetics, H&M, Nike and Warby Parker. Instagram will receive a fee for each purchase made through Checkout and is accepting payments through American Express, Discover, Mastercard and Visa with plans to add a PayPal option later. Social Commerce is no new thing. It’s been a long time coming and finally has consumer-driven momentum behind it. For years, marketers and platforms tried to push this user-behavior, but were ahead of consumer demand. As a result, few people converted and growth was insignificant. But we’re now seeing a major shift in consumer behavior. Instagram users have been saving images of things they want to buy and are using the Explore tab feature to find new inspiration. Making shopping within a social media platform easier is driving higher conversion rates and delivering results for brands. Pinterest, one of the first social networks with shopping features, released product pins in the past year and clicks on products to retail sites have jumped by 40% from the previous Buyable Pins format.1 Between 2016 and 2018, social networks as a last-touch channel have doubled in visit share to U.S. retail sites.2 Compare this to Paid Search with 16% growth. This consumer behavior shift, combined with a user experience that keeps the shopper in one app, positions Instagram at the forefront of capturing Social Commerce. Instagram is the undisputed leader in the influencer space. Influencers are hugely impactful when it comes to sharing new products and converting visuals and video to commerce. According to a CivicScience survey, 34% of daily U.S. Instagram users have purchased a product or service based on an Influencer or blogger3 – higher than any other social network with Twitter at 29% and YouTube at 26%. If Instagram continues to grow at its current rate and influencers continue to be a large force on the platform, we can expect further shopping developments on Instagram to be extremely successful. Brands in the beta can take this influencer content and leverage it on their existing profiles to drive sales of featured products. In 2019, 44.7% of all e-commerce sales in the U.S. will be conducted on mobile devices – more than $270 billion worth. In a survey asking how U.S. Internet Users feel about using Mobile and Social for shopping, 45% said their mobile device is quickly becoming their most important shopping tool and 36% cited social networks being as important as other information sources to make the best product choices.4 Instagram is a significant chunk of mobile time spent, with users spending more than 27 minutes in the app per day. As mobile commerce continues to become a larger portion of e-commerce, social will also continue to become a larger part of mobile commerce. This gives Instagram a huge opportunity to capture a very valuable space in the commerce ecosystem. Currently the change only impacts organic Instagram posts and profiles, and does not have a paid media component. If you are a retailer focused on DTC, ensuring you have both the product catalog connection and the right content to drive this behavior on Instagram organically will be key to success.